The other day I was in line at Target. There was one person ahead of me. She had a few items left to check out, so I took a moment to look over and see what the boys were doing. Rocco looked low. So I checked his blood sugar. Right in the line. Like I had done in line at ferris wheels, fast food lines, lines at the grocery store checkout, lines at the museum. The whole process takes approximately 35 seconds. As is usually the case, the people nearby either didn’t notice or didn’t care! But it made me think, I probably should care that people around us will see his blood. Or see me smear what's left of the blood onto the palm of my hand, then wipe it on my pants. I probably should take him over to the side and check him out of eyeshot of the people all around. But, checking his blood sugar has become so natural and fast to us, it seems to be more of a spectacle to pull him aside and hide him while he’s being checked. Also, in my opinion (and it is just my opinion, so no nasty emails, please), hiding him makes me feel as if he will be embarrassed about his diabetes as he grows older. Teaching him to actively step away from everyone and croutch down in the corner to be checked just kind of leaves me with a weird feeling. 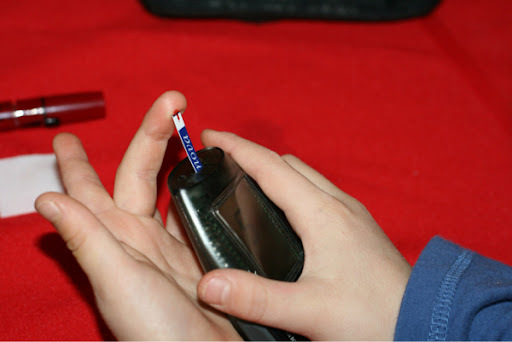 He can decide once he's older how he will handle checking his blood sugar. But I am trying to teach him that this is part of who he is. He shouldn't be any more ashamed of it than he is about the mole on his cheek. He is going to have to perform this task many times a day – every day. He will check himself when he is in line with his kids at the ferris wheel. Before he goes into the ocean and before he goes into the board room. So, if I can teach him to just take care of his business quickly, discretely and efficiently, he will be better off. Funny but could you imagine a scene where he is on a boat in the middle of the Atlantic just about to dive for the sunken treasure with James Cameron. And he says,"Excuse me fellas, I have to go down below to check my blood sugar. Can you all hang on a minute?" Or right before he says "I do!" Him looking into his wife's beautiful eyes and saying, "Hang on a minute honey, I feel low". Haha! Can you imagine? I know these are two silly examples, but you get the point. 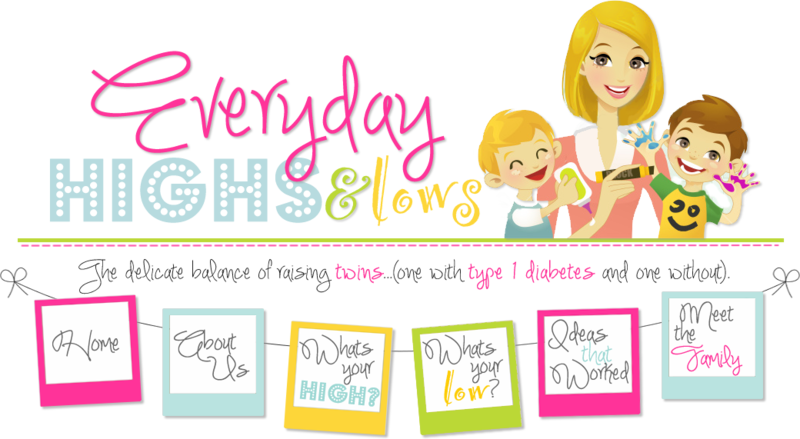 So tell me, where was the craziest place you have ever checked your blood sugar or checked your child's blood sugar?